The following video showcases M1NDXBEND3R’s latest creation – the Tier One Guardians! If you haven’t seen him before, not only does M1NDBEND3R create Mechs but he’s also very talented in the creation of transformers made out of LEGO. 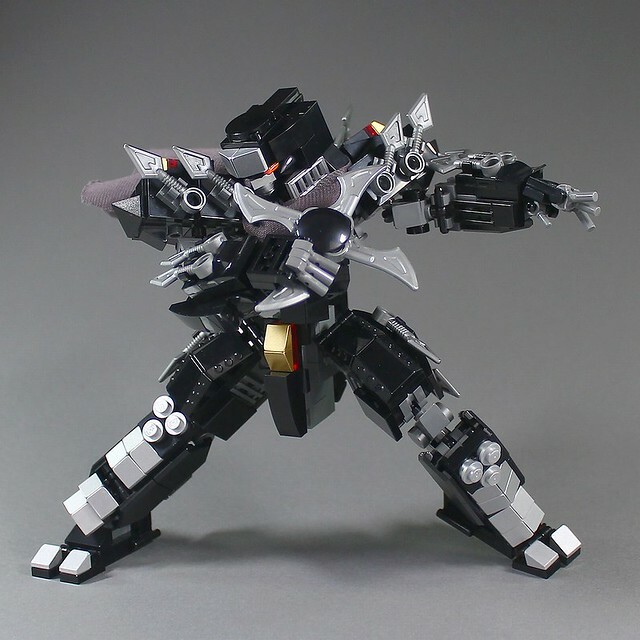 Posted on January 15, 2019 Categories Creativity, LEGO, MECHs & MECHAs, MOCsTags LEGO, M1NDxBEND3R, MECHA, Mechs, MOC, Tier One GuardianLeave a comment on LEGO Tier 1 Guardian MOC by M1NDxBEND3R! Posted on October 7, 2018 Categories Creativity, LEGO, MECHs & MECHAs, MOCs, Space Ships, VehiclesTags Gundam, LEGO, MOCs, Top Ten MOCsLeave a comment on The Top 10 LEGO MOCs Of The Week! The MOCs of the week by Brickvault, with a few MECHs for those heavy metal fans. Get to it! Posted on March 19, 2018 Categories Creativity, LEGO, MECHs & MECHAsTags Creativity, LEGO, MECHA, Mechs, MOC, MOCsLeave a comment on Top 10 MOCs Of The Week! This is the initial episode in JANGBRiCKs’ Tell Me What To build [TMWTB] series. He does a fine job of not only talking the viewers through the whole process but making a rather incisive creation considering the random assortment of parts he chose to build with. It is rare when a striking build such as the one below also features a firm stream of beauty, but this piece by creator MOKO does just that. The parts chosen complement each other well, but for myself, the sash just gives it that added element of a warrior that’s been in battle before, and will continue to do so no matter how many times its needed. If you’re interested in another striking and fearsome build by this builder, please check this one out.